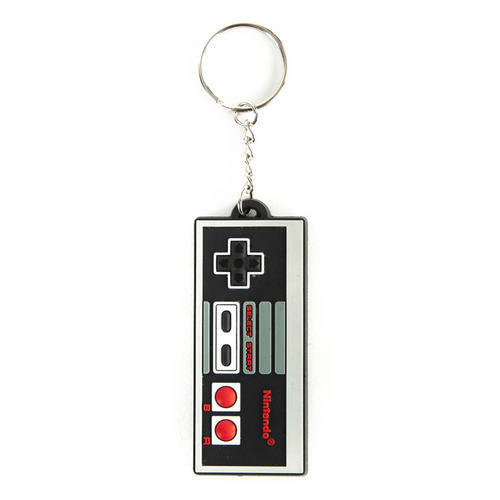 Nintendo Rubber embossed keychain of the iconic NES Controller. Perfect for your keys, bag, belt or other items. Collect them all! Officially licensed. 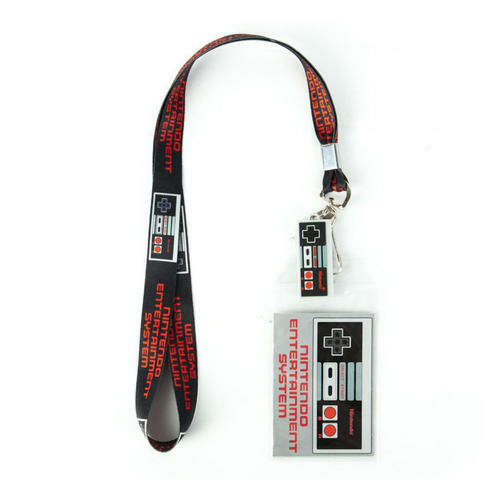 NES Controller Lanyard featuring a retro NES controller rubber pendant attachment along with NES ribbon design. Made using high quality fabrics. Officially licensed. 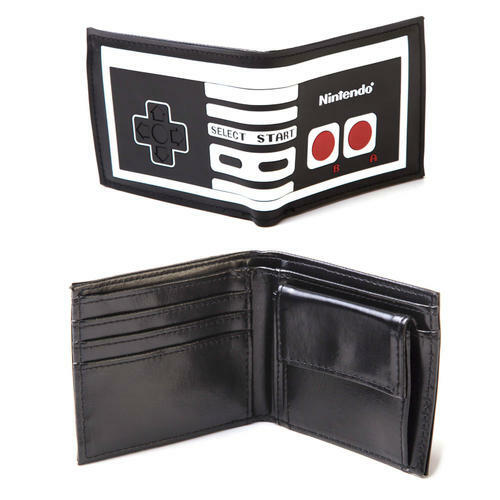 Nintendo wallet featuring a classic NES Controller design. Includes note and card slots. Ideal for retro gaming fans. Officially licensed. Messenger Bag with reversible flap. 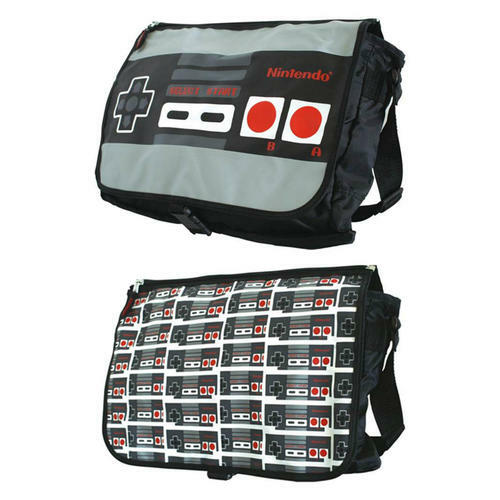 One side replicates the classic NES Controller while the other features a trendy controller design. Ideal for retro gaming fans. Officially licensed. 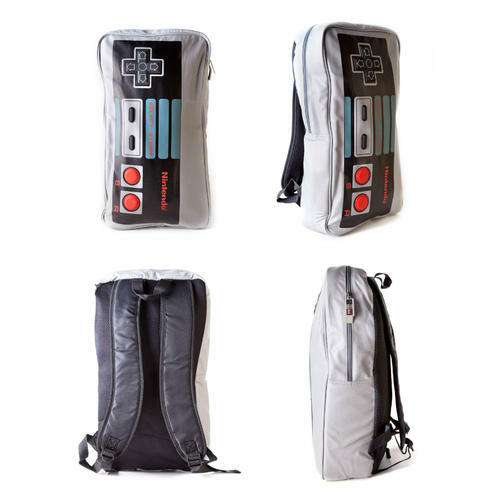 Large Back Pack designed around the iconic NES Controller. Includes padded d-pad, buttons and adjustable straps. Ideal for retro gamers. Officially licensed.